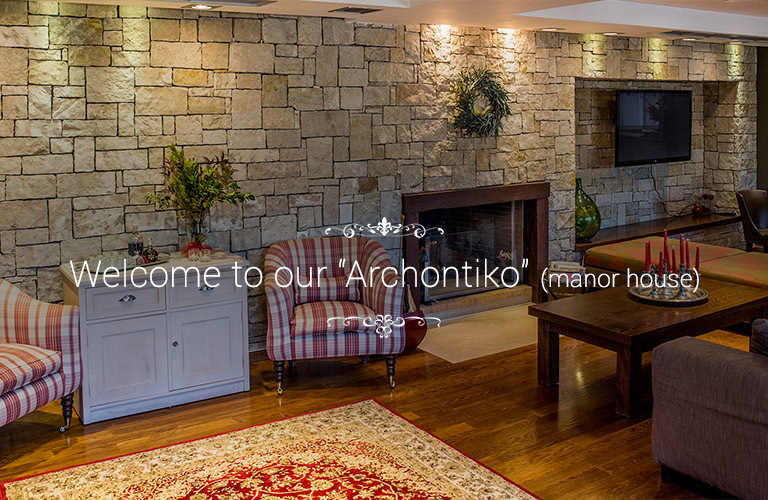 Situated at the entrance of the Kalavryta Town, 750m above sea level, on a green hillside you will find the Hotel Archontiko. Suitable for both short and for long stays, summer or winter. All of our 5 double rooms, 9 rooms with lofts and Suite lead to the cobble paved picturesque green gardens. 5 Spacious rooms (27sq.m. ), selectively decorated with leather bed, wooden flooring, comfortable modern bathroom and a small lounge & kitchen area to ensure your stay is a memorable one. Feel at home in these specially decorated 9 rooms (39 sq.m. 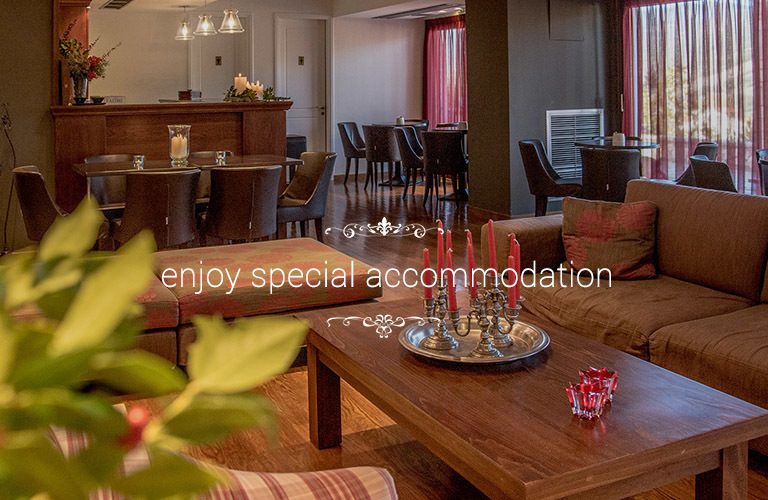 ), enjoying the warmth of your own fireplace in the Winter, the fascinating view from the balcony and then ascend the staircase to the bedroom situated in the loft for a peaceful night’s sleep. In the area of lobby- bar, you can enjoy rich breakfast, coffee or a drink in the stylish relaxation area with fireplace (for winter) and great views. Suitable for both short and for long stays, summer or winter. Situated at the entrance of the Kalavryta Town, only a breath away (3 minute’s walk) from the centre of the town and Odontotos rack railway. Your stay will be special, accompanied by the fireplace, the special decor, luxurious fabrics in earthy tones and the endless view from the large balcony. You can enjoy a hearty breakfast to start your day, handmade traditional pies, homemade jams of our own production and other. The picturesque town of Kalavryta 750m above sea level and only a 3 hour drive from Athens is a Winter and Summer tourist attraction for thousands of Greeks and other people from all over the world. The mountainous beauty and splendid close by places of interest make it an irresistible and unforgettable location to visit.